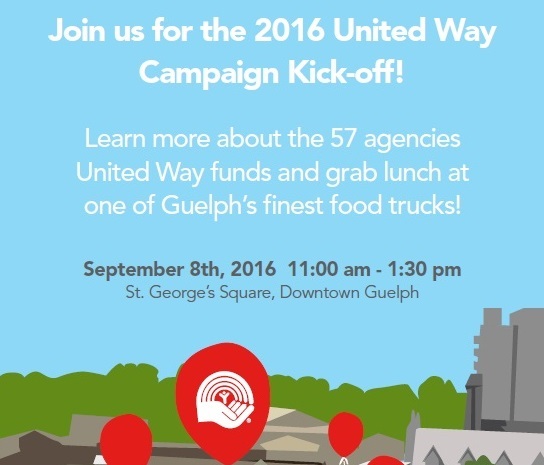 Join us as we kick-off the 2016 United Way Campaign! This year we will be taking over St. George’s Square and will be joined by our 57 funded agencies! Grab lunch at one of Guelph’s finest food trucks, including Sweet Temptations, Chef Scotty Cooks, Schmuck N’ Gourmet Foods and Berlin ’95! 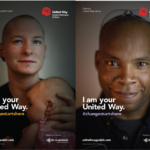 Take a minute to chat with our agencies to learn all about the great services they are providing in our community! Keep an eye in the sky and watch for the announcement of the 2016 campaign goal!